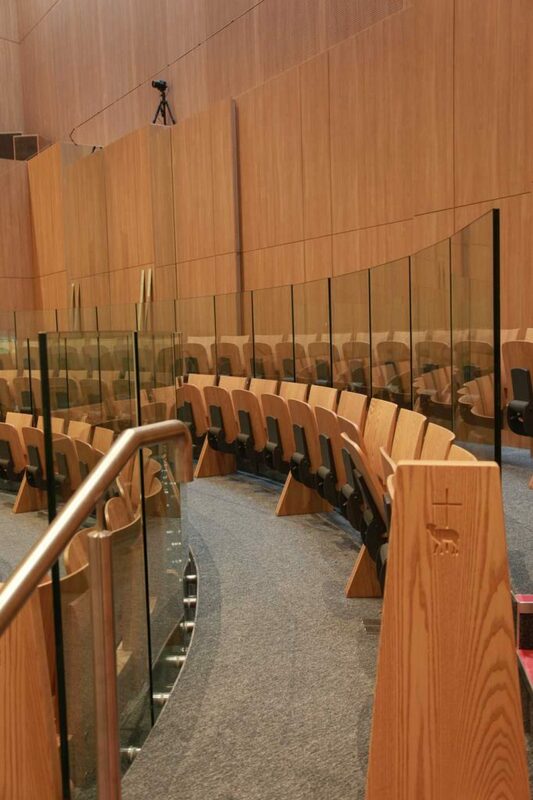 We design and manufacture elegant and durable chairs: wooden chairs, metal-frame chairs (both stackable) and bespoke chairs. 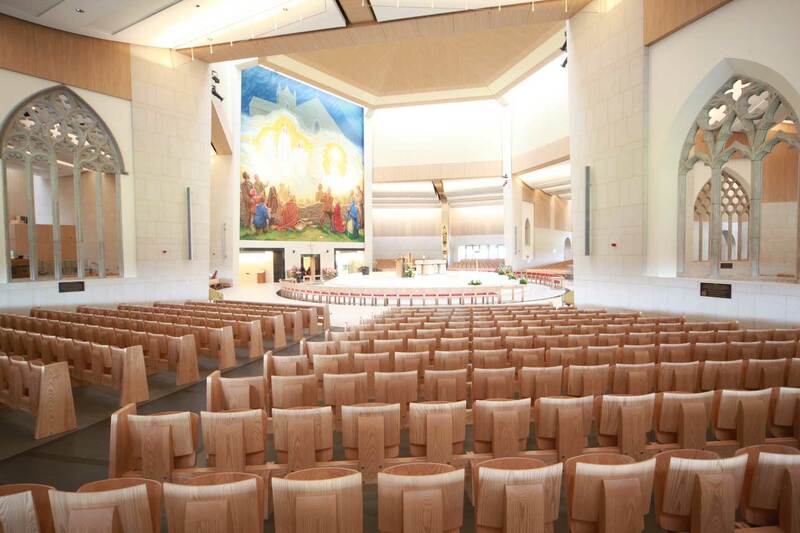 Many places of worship choose chairs for their flexibility, ease of maintenance and affordability, while architects and designers love their versatility, as they can be designed to look either traditional or contemporary. 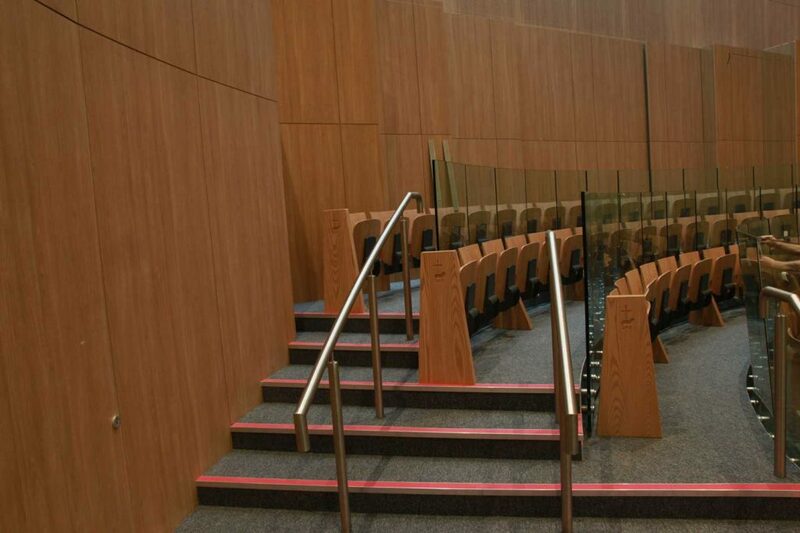 Chairs increase seating capacity, and also make it easy to alter seating layouts, add additional seating, and move the seating to other areas. 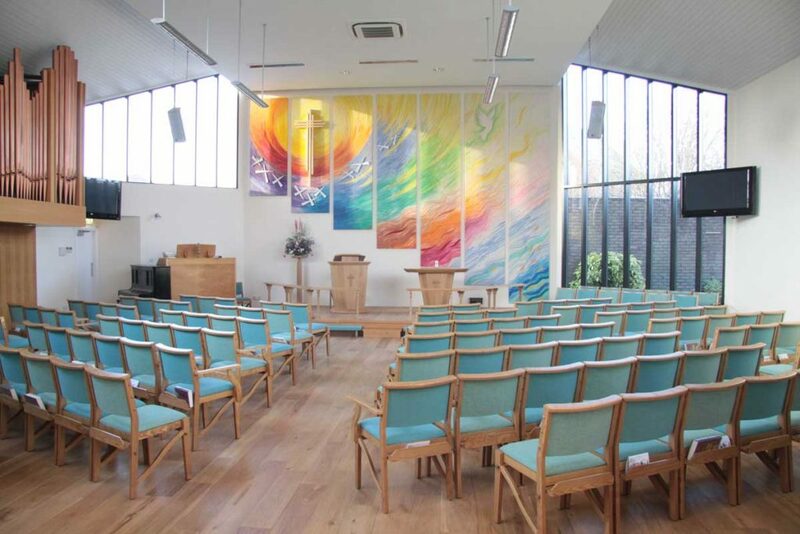 ICS has developed a range of stackable seating solutions to increase the versatility of worship spaces and accommodate a variety of activities. 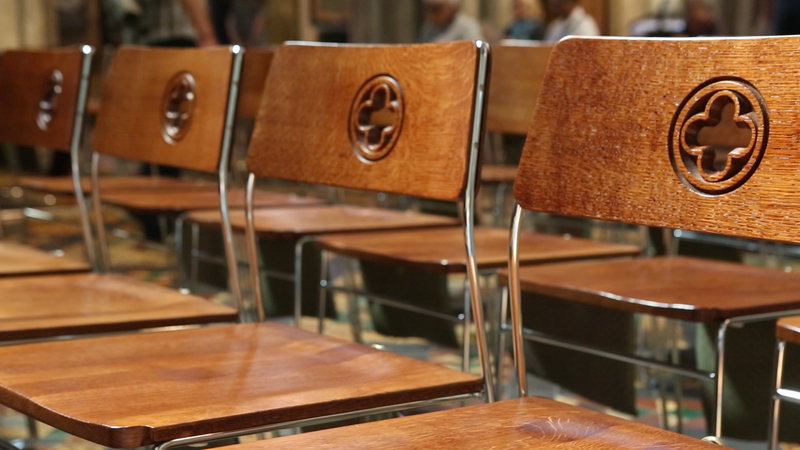 Our wooden chairs are one of our most successful products. 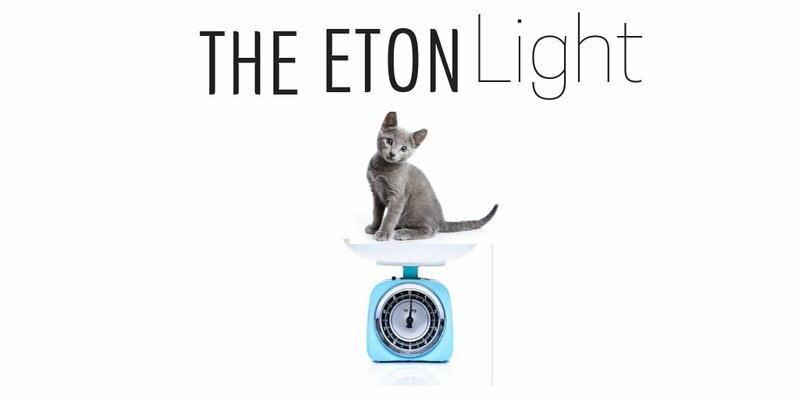 They are stackable (both with or without arms) and fully customisable to suit specific settings and requirements. We can incorporate carvings (crest, cross, symbol, etc) to reflect the unique architecture or details of your building. 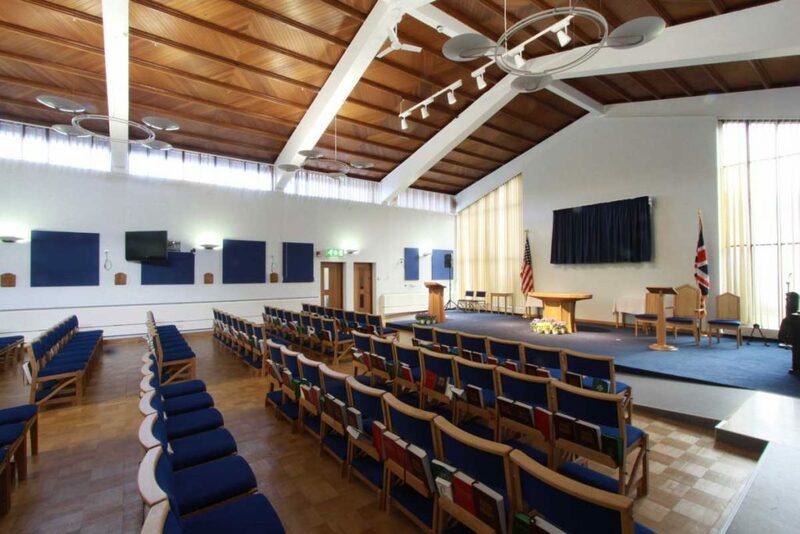 The chairs can be supplied with hassock hooks, bookshelves and unique cast-brass links that allow either straight or curved formations. 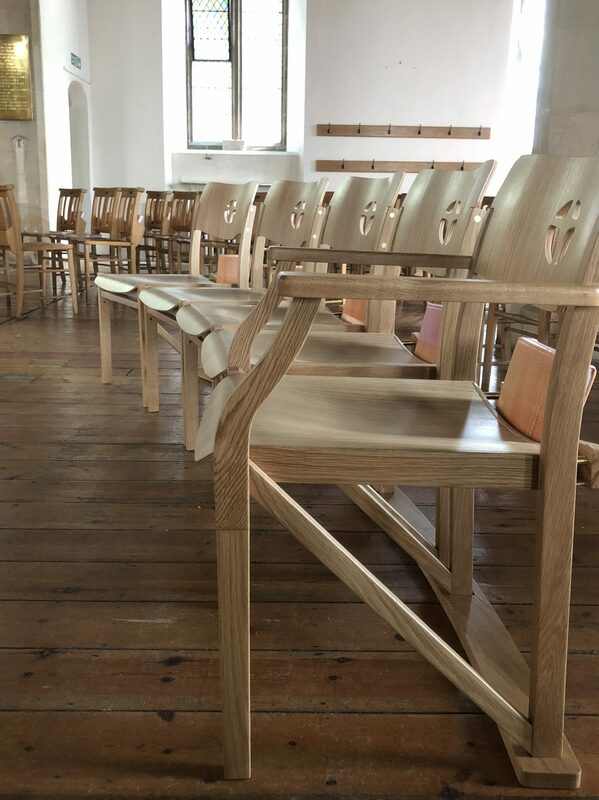 We use sustainably sourced timber, mainly ash or oak, and the wood can be coloured to match existing furniture. Seven chairs can be stacked on flat ground, or 10 on a special trolley. A special feature is that our wooden armchairs can be stacked. 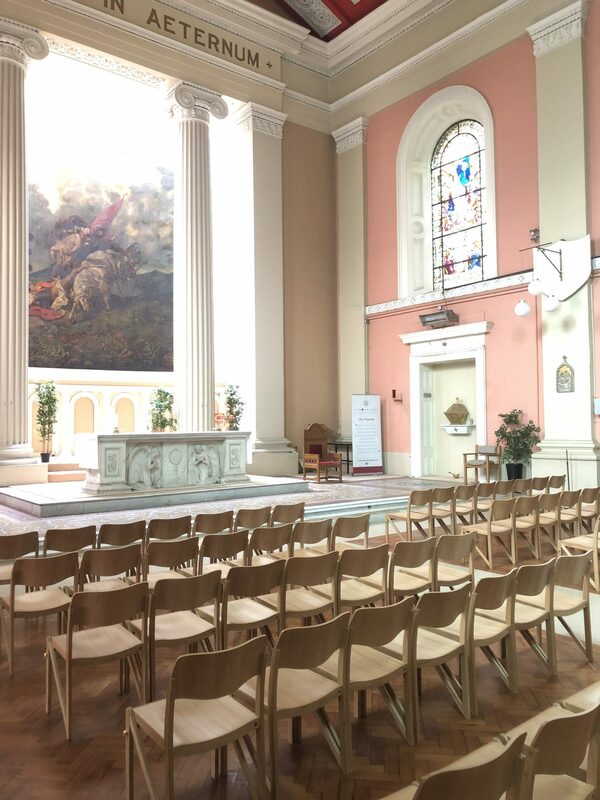 We have installed a total of 40,000 of our wooden chairs in places of worship all over Ireland and the UK, as well as in Australia, with no returns for quality issues. 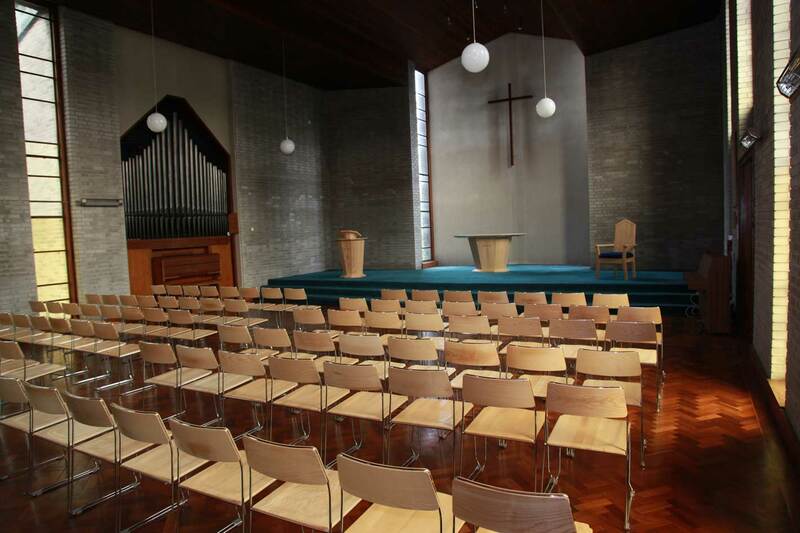 For more details, see The Christ Church Chair. 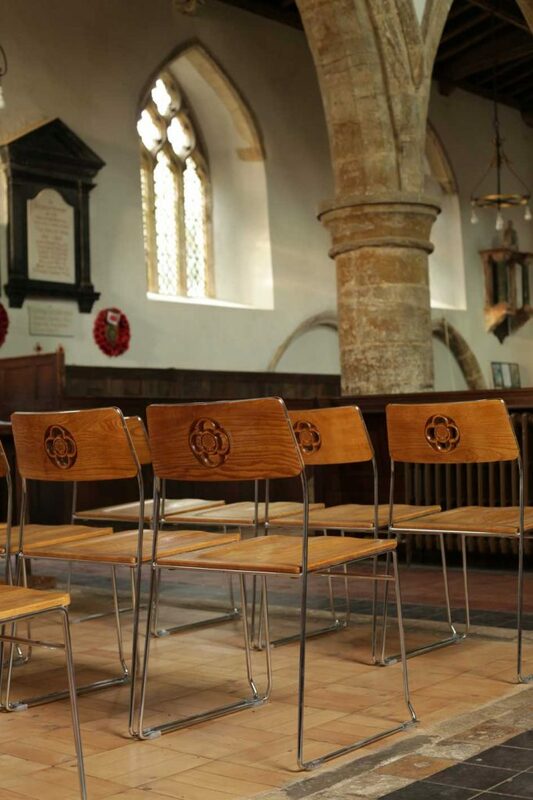 Our metal-frame chairs are stackable and fully customisable to suit specific needs. 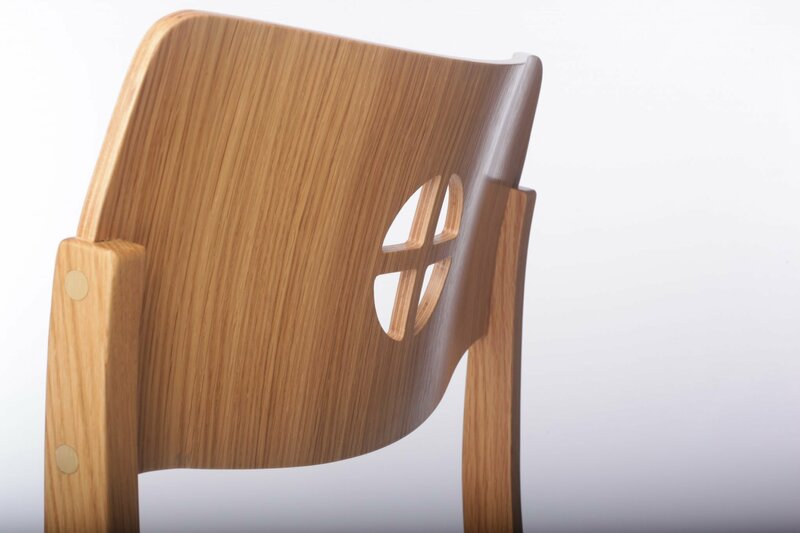 This chair has solid timber parts that will last for generations. 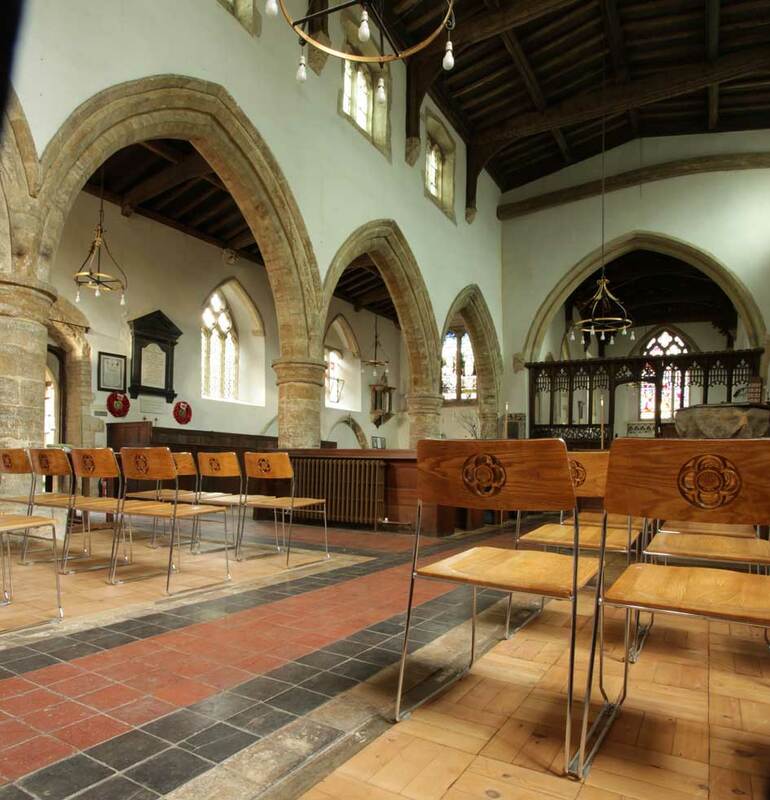 You can choose either a solid wooden seat and back, or an upholstered seat and wooden back. We can incorporate individual carvings (crest, cross, symbol, etc) to reflect the unique architecture or details of your building. 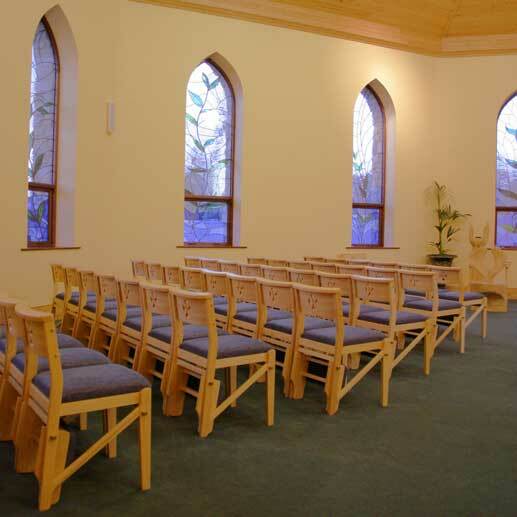 The chairs can be supplied with hassock hooks, bookshelves and links that allow either straight or curved formations. 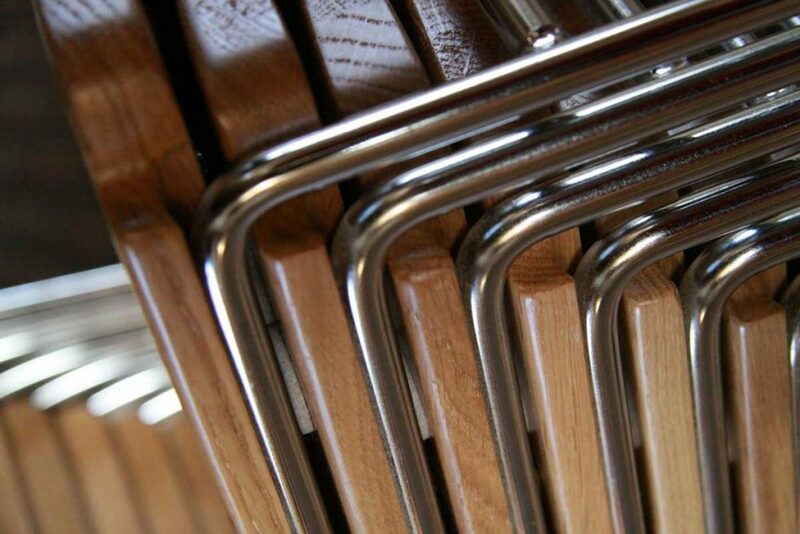 Twelve metal-frame chairs can normally be stacked on top of each other, but, with the use of a special trolley, over 30 chairs can be stacked. 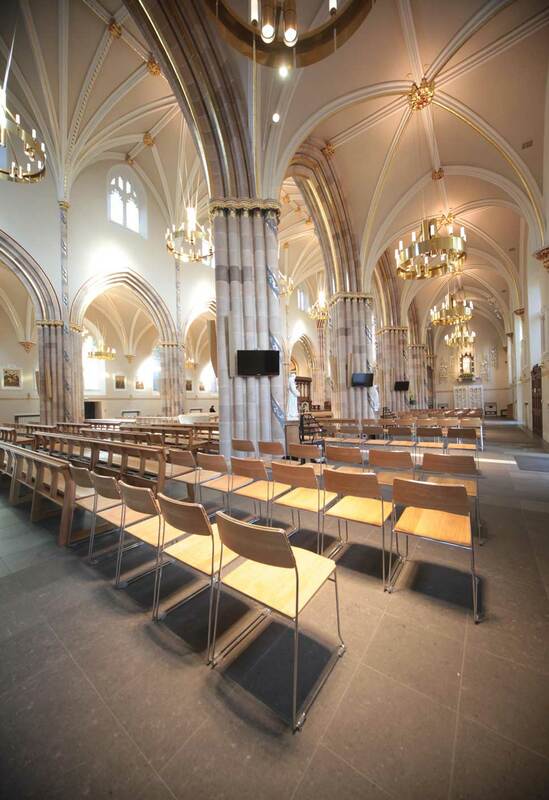 Our metal-frame chair can be found in cathedrals, abbeys and parish churches throughout Ireland and the UK, including St Patrick’s Cathedral, Dublin and St Andrew’s Cathedral, Glasgow. 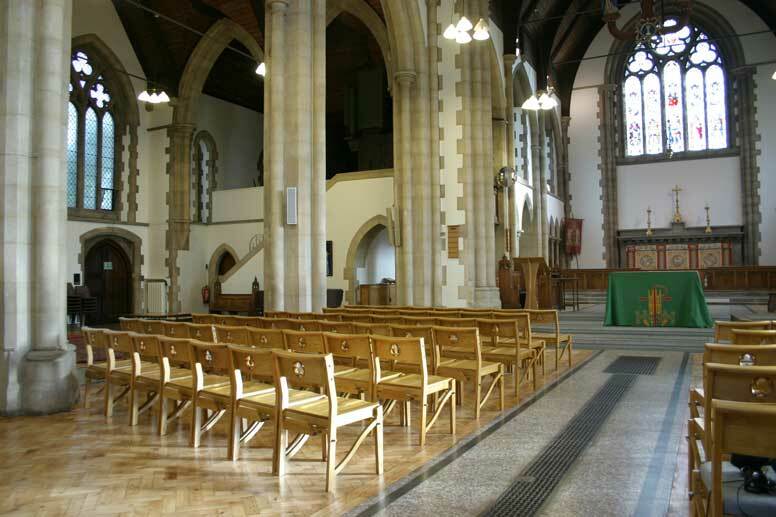 For places of worship that do not need to move the seating for other activities, we provide a variety of non-stacking chairs that we can customise to suit your requirements. 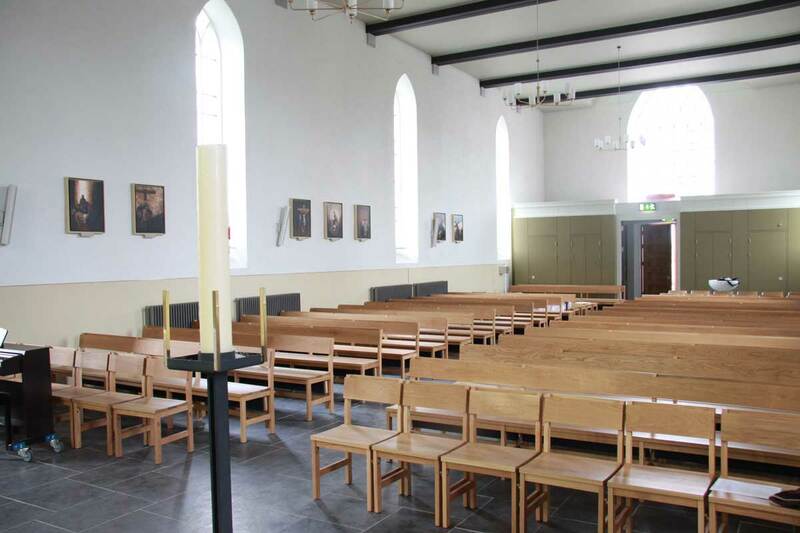 For example, for Knock Basilica we designed a special solid hardwood flip-up type of chair that allows free movement of people between rows. For details, see Knock Seat.